Earn your High School Diploma Online from a Respected Leader. Are you a good candidate for online learning? Please evaluate yourself for online degrees and high school diploma programs by clicking here. Welcome to Excel High School Online! In today's global economy, Excel High School has become a very popular place to attend online middle school and high school online and earn an accredited high school diploma. As a leader in online education, Excel welcomes students from all over the US and the world. At Excel, students' can earn recovery credits and/or work toward an accredited high school diploma entirely online. When considering an online high school, it is important to choose a school that is known for its solid reputation. Excel has proven to be an innovative leader and provider of accredited, distance education services. You will find our school to be challenging, exciting, flexible, affordable, and fun. We pride ourselves on helping students realize their goals. We understand that all students are unique and have different needs and goals. We do not place students in a box with a “one size fits all” approach to education. Excel High School allows students to succeed at their own pace with an anytime, any pace learning environment. Whether pursuing recovery credits for your home public high school, a Standard High Shcool Diploma, an Adult High School Diploma or a GED ® test preparation course, Excel High School will be here to help every step of the way. We have built a learning community comprised of great diversity. No matter what challenges you may experience, we pride ourselves on providing solutions that will fit your specific learning requirements. Our mission is to see our students succeed! Congratulations on taking this first exciting step by exploring all of the wonderful opportunities that Excel High School has to offer. Each student is assigned an academic advisor to assist with course planning and continuing educational needs and planning. Your academic advisor will also assist with assessment and communication requirements with other schools. If you or your child are completing a credit make-up credit at Excel High School, you can be sure we will communicate with your school's counseling services to be sure you get the proper make-up credit. Advisors are readily available for student and parent support. Technical Support services are available to assist new students or trouble-shoot any Excel LMS related technical issues. Our online learning platform is SCORM compliant and works with most operating systems. Click here for Technical Requirements. As long as you have a computer and an internet connection, you can take online classes. Imagine not having to leave home to complete a high school course or courses. Imagine no early morning classes, no dealing with long bus rides, and best of all, consider working at your pace, with an individualized instructor. Get your high school diploma at your own pace. Our virtual high school and online middle school programs are well tailored for today's e-learner. Our programs include everything you need to achieve your education goals. Our programs are all designed and delivered in a convenient online format that makes sense and is easy to understand. Get started today. 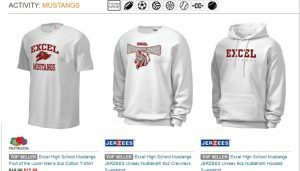 Looking to order Excel High School Mustangs Gear? Click here or click on the image below to order EHS Mustangs Spirit Wear. 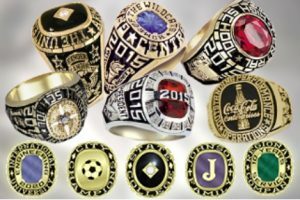 Looking to order an Excel High School Class Ring? Click here to order your EHS Class Ring. Learn about the people behind our school! Excel High School was founded in 2004 by a group of educators and business professionals that identified with the need to improve the way that children and adults learn. Our goal is to give every person, regardless of their age and circumstances, the opportunity to earn an accredited, American high school diploma or complete needed make-up credits. Our customized solutions, online high school diploma programs, are the perfect for students who desire a cutting edge new approach to education. Our experienced instructors and staff really care about the success of our students! We use today’s most recent and up-to-date fully accredited curriculum; there are no 10-year old books in our school. With current technology, it is plausible to bring accredited courses to every student who has access to the Internet. From our initial goals of offering make up credits online, to now offering a complete 9-12 curriculum; we have continued to provide the most intuitive, accredited online high school course content available anywhere. Excel serves students in all 50-States and around the world. More and more people these days are concerned about safety in our public schools, especially high school. Many of these people consider homeschool or an online high school, but they wonder if an online high school can be enjoyable for the kids. There are many good reasons you might choose to enroll your son or daughter in online High School programs. The world is becoming an increasingly dangerous place and in many areas it just isn't safe to send your children to the public schools. Not to mention the fact that you just might not like the values and political viewpoints the schools are pushing these days or the extreme peer pressure that leads too many teens into drugs, alcohol and premature sexual activity.